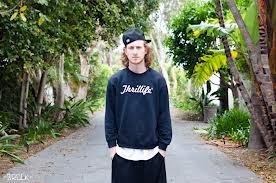 Seems as though Asher Roth will be releasing his sophomore album next year and will be called Retro Hash. Until we get more details about that, the Pennsylvania native released "Pot of Gold," produced by frequent production collaborators Blended Babies. It's a pretty mellow and chill track, something Roth has become more known for in his sort of under-the-radar-style as of late. Stream below.